What will you imagine if you hear the name Porsche? You can say anything you want but I think that terms like speed, performance, dynamics, beauty and classic are automatic. There are many words characterizing this brand so everyone needs to think alone. These cars are within living memory the symbol of prestige and power wearing designer clothes. Hats off, Mr. Ferdinand Porsche, a father of this king between brands. This man started this never-ending sporting serial that won’t finish soon. Porsche started with pure racing cars that are still extremely popular and its price can be sky-rocketing. The term „sport“ is still the cornerstone of Porsche and now is one of the biggest and most popular car manufacturers of sports cars. Lamborghini, Lotus or Ferrari are strong competitors but Porsche can’t lose heart. Its newest models are well known between enthusiasts and laymen too. Sometimes I have a feeling that they’re not cars but luxurious petrol missiles. But sometimes it’s not enough so you need to look round for some tuning companies, or also the car manufacturer can offer something more than ordinary stock production. 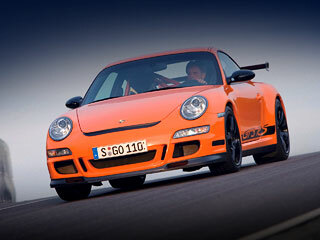 We’re talking about an improved version of Porsche 911 GT3 RS. Who doesn’t know Porsche, hands up! I can’t see any hands? First of these famous German sports car were born in 1948 thanks to Ferdinand Porsche. Since then the Porsche cars are world-acclaimed and one of the most valuable. No wonder, because there’s something mysterious in every masterpiece. It veils a piece of history, prestige and long way to the top in ruthless conditions. Look at the vehicles as 1948 Porsche 356, 1981 Porsche 924 Turbo, Porsche 911 Targa or whole 911 series and you‘ll understand our words. By any means, Ferdinand Porsche knew what he wanted and then knew what he did. I want to pay honors to this great father of automotive industry and great cars. This collocation evokes many attributes. Muscular, monstrous, famous? Are these the right words? Everybody needs to answer this question because the car has different affect on different people. Porsche 911 GT3 is the most powerful car of the brand and segment (considering power-to-displacement ratio). No wonder that it bears the “GT“ name. Exciting design is the first thing that impress. It looks really sporting and so it is. Every detail has its own carefully chosen place and function. The design is full of rounded but aggressive lines that are nicely seen on the sporting front bumper that has specific openings and bottom diffuser. The classical retro-rounded pure lens headlamps co-create bold lines of the front part. Smooth side of the car indicates decent behavior of the car...but in a parking lot. It happens very often that you examine lines of the rear part for a long time. At least to the time when you step on the gas. Then you understand the necessity of this aerodynamic design that matches the GT name. Four openings divided with a long crossbar, a pair of exhaust tips in the middle of the rear bumper and big double wing; these are the details and elements that make this car so unique. But don’t forget about 10-spoked 19“ GT3 rims (8,5 Jx19 in front and 12 Jx19 in the rear) that help to make the drive unforgettable. That design corresponds to the adequate performance. This Porsche can’t be ashamed. Its powertrain is a 3.6 liter V6 engine with VVT technology and titanium piston-rods. Simply said it‘s the Porsche’s racing technology on the roads. This Professional equipment produces beautiful 415 hp (305 kW) at high 7600 rpm with 405 Nm of torque. That makes your time runs faster. 0-100 km/h run takes only 4.3 seconds and its top speed is great 310 km/h. Bu what happens if GT3 in the name isn’t enough? Maybe someone likes the “RS“ abbrev. The “someone“ is Porsche that has decided to offer something more to its customers. It’s a slightly modified Porsche 911 GT3 RS where is the sporting potential of stock 911 GT3 perfectly utilized. Also laic can notice that this version miss all comfortable elements and that create ideal basis for future modifications. Porsche knows it and modifications have begun. The interior is also a brilliant of the car. Sporting bucket seats made of carbon (10 kgs) with 8-point seat belts, roll cage, three-arm steering wheel, extinguisher, accumulator switch and much more is there as standard equipment. Additionally also alcantara, carbon and real leather makes your time pleasant. The power plant is same, only little changes were made like an extension of throttle-blade diameter, new exhaust system with lower back pressure and optimized heads of cylinders. Thanks to this detials the maximum revs are now 8400 rpm (8200 rpm in stock) and 100 km/h is now available in 4.2 seconds. I think that’s all from performance, the rest of changes are rather visual and safety. The paintwork is now available in four stylish colors, unfortunately without furious white – green, black, orange and silver. Also rims have been modified. Now they’re mysterious black and there is the RS logo in their center. Maybe the most distinctive modification is the rear part where is a weight reduction most noticeable. The reduction includes the bigger, but carbon sporting wing, polycarbonate window and ironically the extensions of fenders. The fenders are now 44 mm wider and also the rear axle was widened. That means better stability in turns and overall handling characteristics. The interior changes are modest – carbon seats in Alacantara and aluminum, roll cage in bodywork‘s color, pointer of steering-wheel‘s position. So this is the new Porsche 911 GT3 RS. Your opinion about Porsche 911 GT3 RS version?